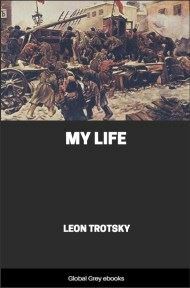 First published in 1930 and written in the first year of his exile in Turkey, this is the autobiography of the Russian Communist leader, Leon Trotsky. 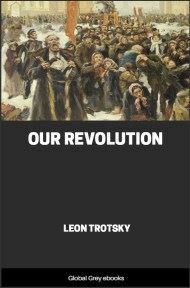 Starting with his youth, the book covers all of his political life, including the Revolution of 1905, the Revolution of 1917, the Civil War in Russia, his struggle against Stalinism and his expulsion from the Communist Party. Childhood is looked upon as the happiest time of life. Is that always true? No, only a few have a happy childhood. 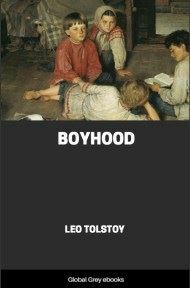 The idealization of childhood originated in the old literature of the privileged. A secure, affluent, and unclouded childhood, spent in a home of inherited wealth and culture, a childhood of affection and play, brings back to one memories of a sunny meadow at the beginning of the road of life. The grandees of literature, or the plebeians who glorify the grandees, have canonized this purely aristocratic view of childhood. But the majority of the people, if it looks back at all, sees, on the contrary, a childhood of darkness, hunger and dependence. Life strikes the weak — and who is weaker than a child? My childhood was not one of hunger and cold. My family had already achieved a competence at the time of my birth. But it was the stern competence of people still rising from poverty and having no desire to stop half-way. Every muscle was strained, every thought set on work and savings. Such a domestic routine left but a modest place for the children. We knew no need, but neither did we know the generosities of life — its caresses. My childhood does not appear to me like a sunny meadow, as it does to the small minority; neither does it appear like a dark cave of hunger, violence and misery, as it does to the majority. Mine was the grayish childhood of a lower-middle-class family, spent in a village in an obscure corner where nature is wide, and manners, views and interests are pinched and narrow. The spiritual atmosphere which surrounded my early years and that in which I passed my later, conscious life are two different worlds, divided not only in time and space by decades and by far countries, but by the mountain chains of great events and by those inner landslides which are less obvious but are fully as important to one’s individuality. When I first began to draft these memoirs, it often seemed to me as if I were not writing of my own childhood but of a long-past journey into a distant land. I even attempted to write my story in the third person, but this conventional form all too easily smacks of fiction, which is something that I should want to avoid at all costs. In spite of the contradiction between these two worlds, the unity of the personality passes through hidden channels from one world into the other. 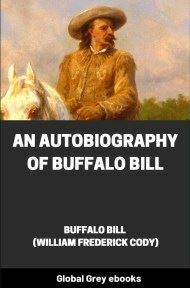 This, generally speaking, accounts for the interest that people take in the biographies and auto biographies of those who, for one reason or another, have occupied a somewhat more spacious place in the life of society. I shall therefore try to tell the story of my childhood in some detail, — without anticipating and predetermining the future, that is, without selecting the facts to suit preconceived generalities — simply narrating what occurred as it is preserved in my memory. At times it has seemed to me that I can remember suckling at my mother’s breast; probably I apply to myself only what I have seen in the younger children. I have a dim recollection of a scene under an apple-tree in the garden which took place when I was a year and a half old, but that memory too is doubtful. More securely do I remember another event: I am with my mother in Bobrinetz, visiting the Z. family, where there is a little girl of two or three. I am the bridegroom, the little girl is the bride. The children are playing on the painted floor of the parlor; the little girl fades away; the little boy is standing dazed and petrified beside a chest of drawers. His mother and the hostess come in. His mother looks at the boy, then at the puddle beside him, and then at the boy again, shakes her head reproachfully and says: “Aren’t you ashamed of yourself?” The boy looks at his mother, at himself, and at the puddle, as if it all had nothing whatever to do with him. The little boy feels neither shame nor repentance. How old was he then? About two years, possibly three. It was about this time that I ran into a poisonous snake while walking in the garden with my nurse. “Look, Lyova!” she cried, pointing to a bright object in the grass. “Here is a snuff-box buried in the ground!” My nurse took a stick and began to dig it out. She herself was not more than sixteen years old. The snuff-box uncoiled itself, stretched into a snake, and, hissing, began to crawl in the grass. “Ai! Ai!” screamed my nurse, and, catching me by the hand, ran quickly. It was hard for me to move my legs fast enough. Choking with excitement, I told afterward of our finding in the grass a snuff-box which turned into a snake. I remember another early scene that took place in our main kitchen. Neither my father nor my mother is at home. The cook and the maid and their guests are there. My older brother, Alexander, who is at home for the holidays, is also buzzing about, standing on a wooden shovel, as if on a pair of stilts, and dancing on it across the earthen floor. I beg my brother to let me have the shovel, and try to climb up on it, but I fall down and cry. My brother picks me up, kisses me, and carries me out of the kitchen in his arms. I must have been about four years old when some one put me on the back of a big gray mare as gentle as a sheep, with neither bridle nor saddle, only a rope halter. I spread my legs wide apart and held on to the mane with both hands. The mare quietly took me to a pear-tree and walked under a branch, which caught me across the middle. Not realizing what the matter was, I slid over the mare’s rump, and hit the grass. I was not hurt, only puzzled.